Timuz Managing Director Ahmed Mohammedhas left the Indian mobile developer to set up a new company called BigCode Games. Timuz was quietly successful, with more than 100 employees across four offices and its biggest hit Train Simulator 2016 registering as the fourth most downloaded mobile game across the whole of India in Q2 2016. 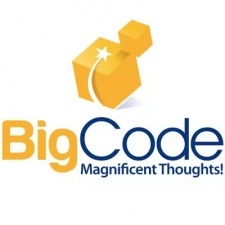 Like Timuz, BigCode Games is headquartered in India's burgeoning tech hub Hyderabad. Mohammed has been building a team behind the scenes, with the company already 40-strong, and is focusing on high-quality games for the global market that monetise through IAPs. This is rather different to the strategy at Timuz, which was based around releasing games in volume and ad-based monetisation. “I am so excited about my new company," Mohammed told Mumbai Daily.